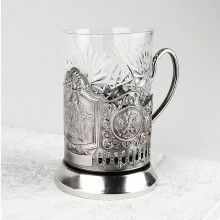 This tea glass set is ideal for anyone. 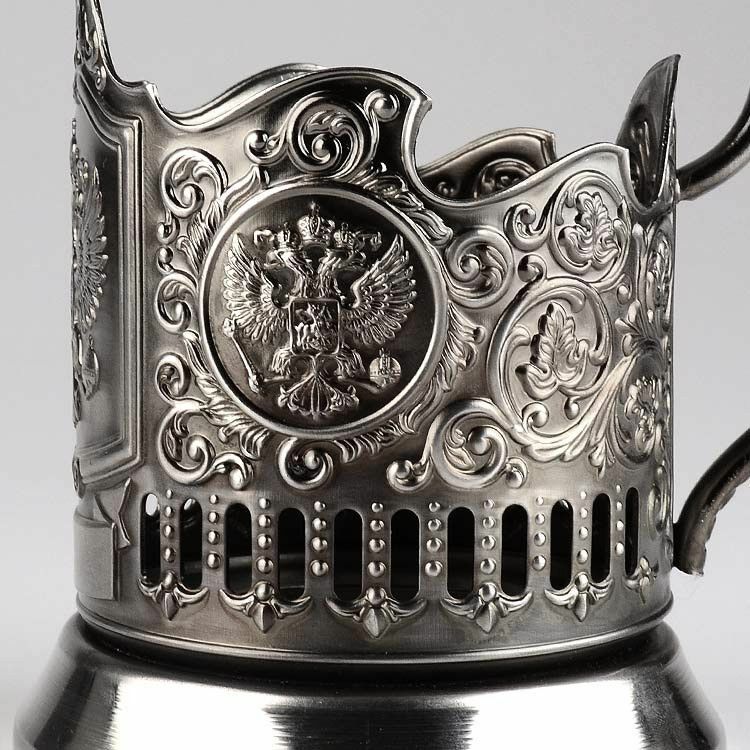 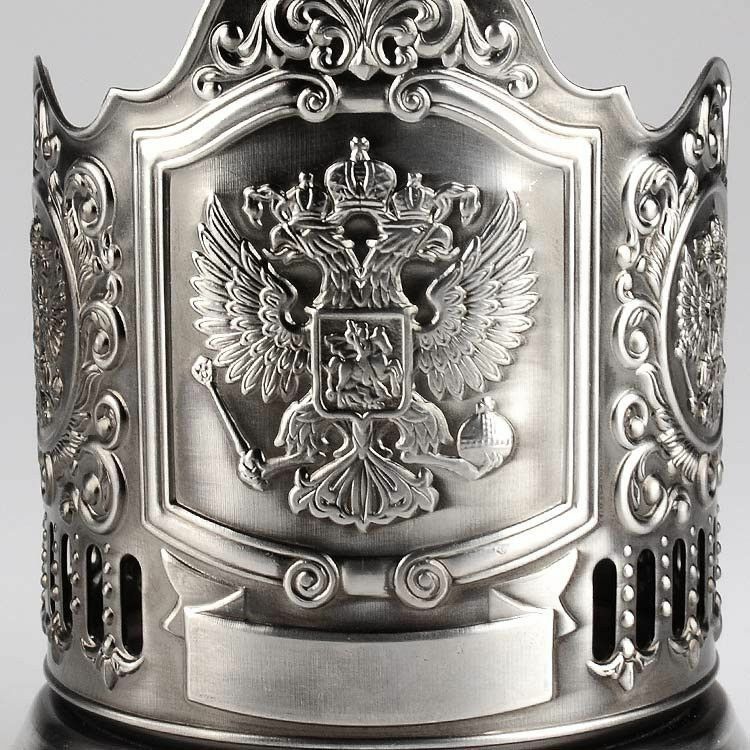 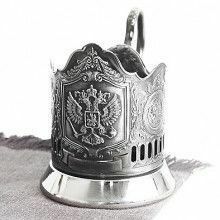 It is a classic with the Russian double headed eagle on the front. 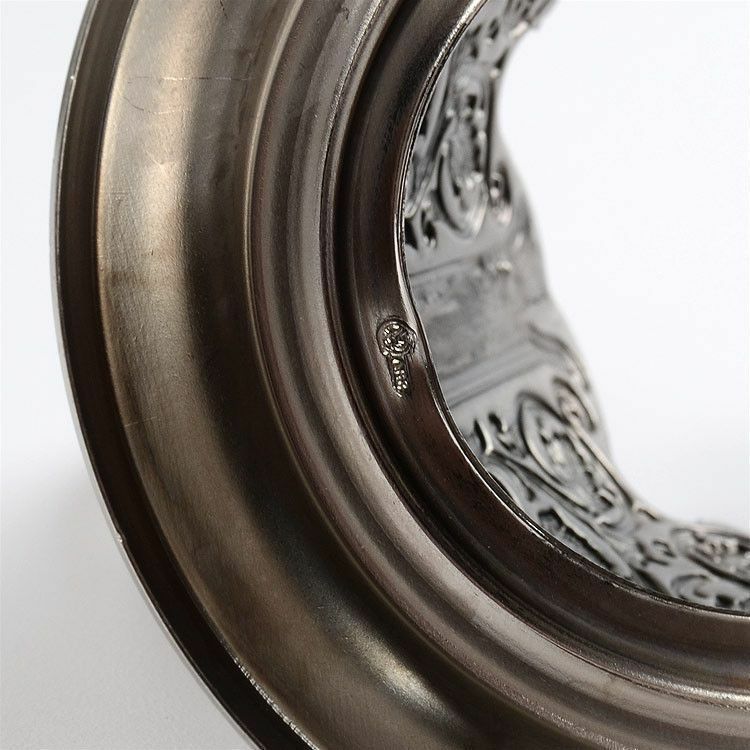 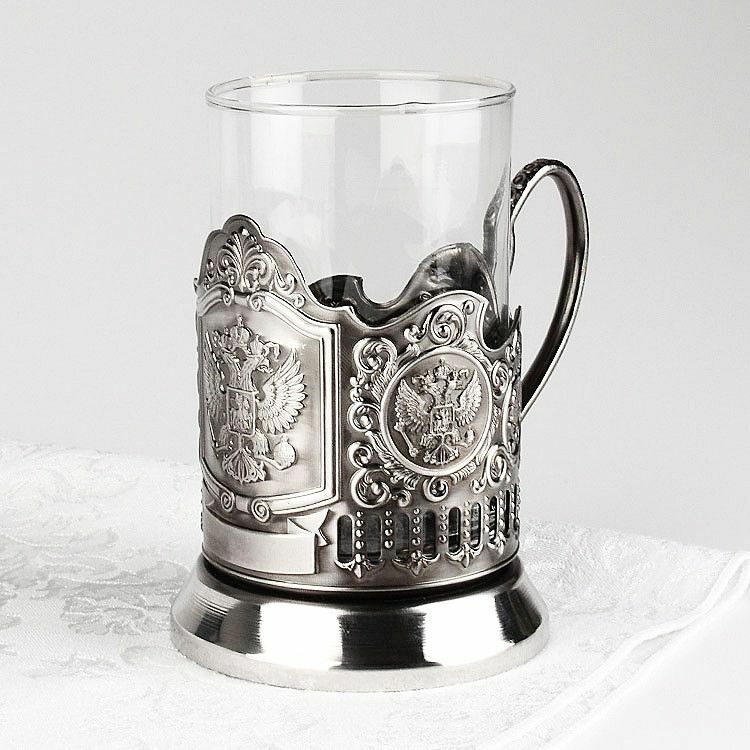 The original Russian Tea Glass Holder, also called the podstakannik, (podstakannik translates literally into "under the glass") was made in Kolchugino, the famous Russian metal art manufacturer. 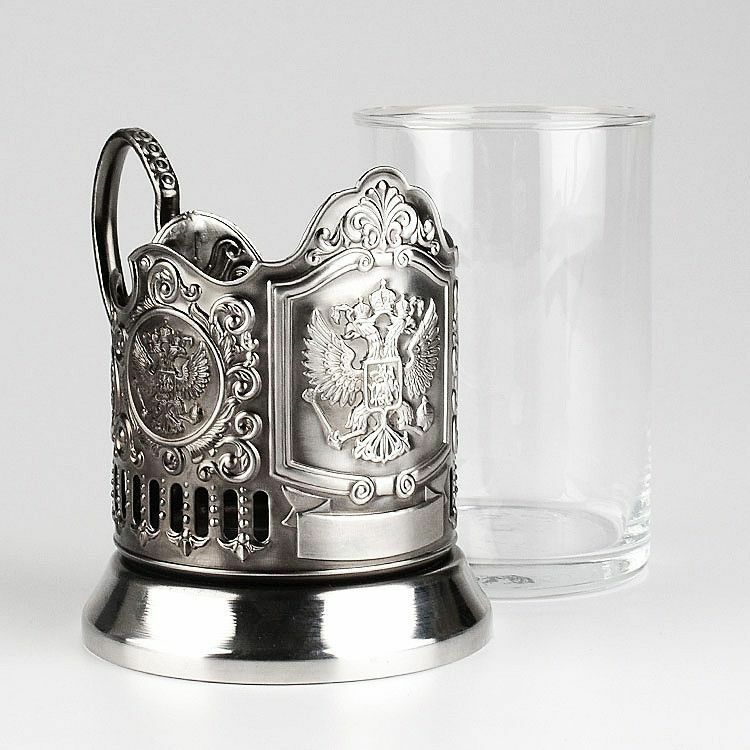 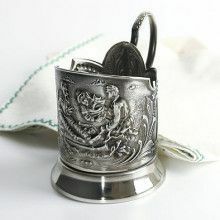 It is made of nickel-plated stainless steel and has Kolchugino manufacturer stamp on the bottom. 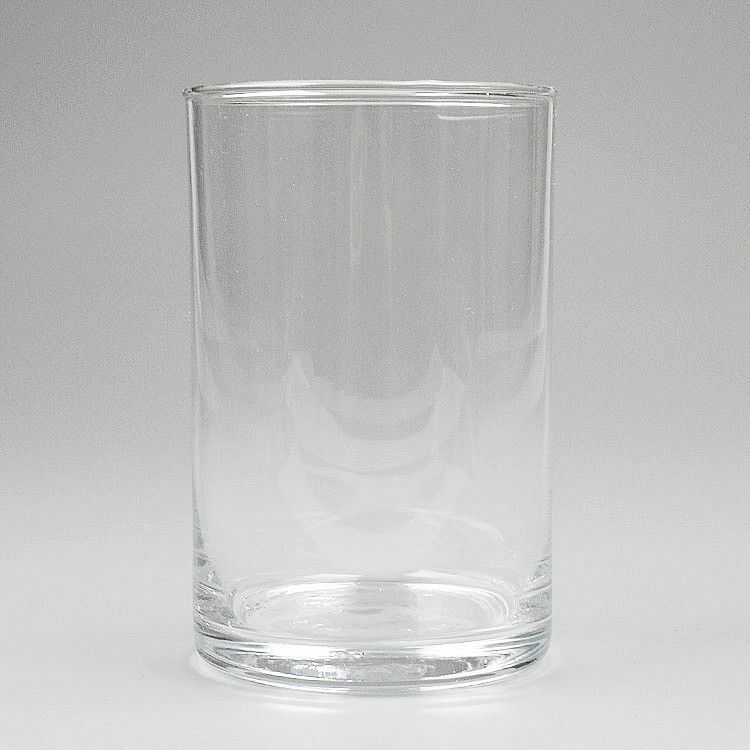 The simple glass is about 3 3/4" tall.